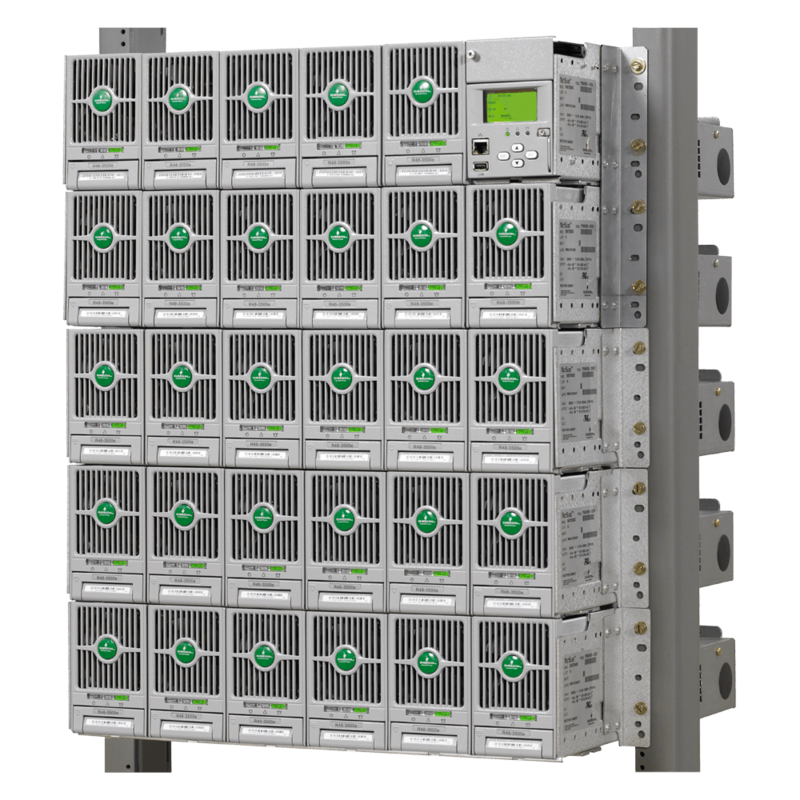 The Emerson NetSure 722 Bulk Output Power System is intended for use to expand or replace legacy -48V DC rectifiers while retaining the site’s existing distribution power board. It can be used with any -48V DC power system, regardless of vendor or plant type. Accommodating up to twenty-nine high efficiency 3500 watt rectifiers per system, the NetSure 722 provides up to 2000 amps of current for -48 volt systems. The basic components of the system include the ACU+ control unit, a main module mounting shelf which houses the ACU+ and five rectifiers, and up to four expansion shelves that accommodate six rectifiers each. 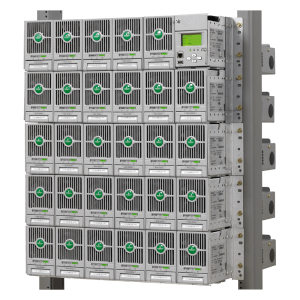 The NetSure 722 system contains a powerful, microprocessor-based control system capable of monitoring and controlling all of the rectifiers in the system. The ACU+ controller also provides output alarming as well as monitoring of external alarms and signals. It features a 4 x 16-character alphanumeric display, which can be activated at the touch of a keypad, and remote access via Ethernet is provided with internal web pages and SNMP. For more in-depth specifications, see the Emerson NetSure 722 data sheet.